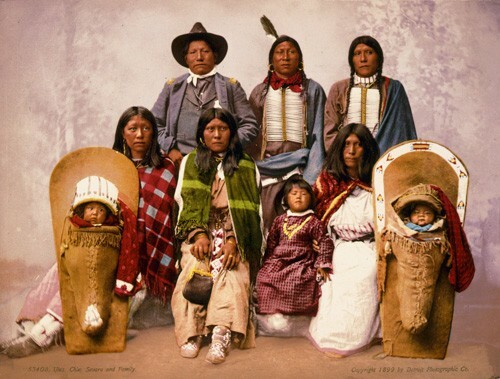 For many years before the white man arrived the Ute Indians hunted and explored- mostly during the summers – in the high San Juan Mountains including the area around present-day Telluride. In the late 1700s the Spanish explorers first entered the San Juan region. For a long time the only Europeans were trappers and a few hardy explorers. The first prospectors settled the area in the 1870’s and founded the mining camp of Columbia. In 1875 John Fallon made the first big mineral claim – theSheridan – in Marshall Basin above present-day Telluride. A mining boom soon began. It was one of the richest mining areas in Colorado and the United States in its time. The mountains around Telluride today are honeycombed with over 800 miles of tunnels. 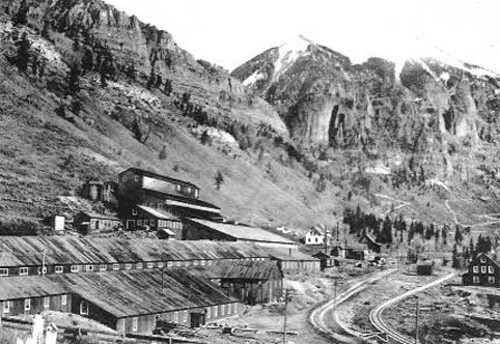 By 1890, Telluride had grown from a tent-and-cabin mining camp into an international town with a population of 5,000 people, serviced just that year by theRio Grande Southern Railroad. New residents came from such diverse origins as Italy, Austria, Ireland and Finland. Lots sold for $1 in 1881, and houses were built all over town, from simple wooden miners’ shacks to the grand Victorian mansions of the mine owners. Main Street was lined with shops, livery stables, saloons and gambling halls. After the silver crash of 1893, the “gold boom” took over, and Telluride continued to bustle with activity. There were dances, plays, marching bands, and the busy bordellos of Popcorn Alley, named for the constant opening and closing of doors during the night. The New Sheridan Hotel, the pride of Telluride, was built in 1895, and rivaled Denver’s famous Brown Palace in cuisine and service. It was from the balcony of this hotel that presidential candidate William Jennings Bryan delivered his famous”Cross of Gold” speech in 1903. Lillian Gish and Sarah Bernhardt were among the many celebrities who stayed at the New Sheridan. The Sheridan Opera House, built next door to the hotel in 1914, seated 200 people and doubled as a dance hall. Both the famous and the infamous came to Telluride. Butch Cassidy began his bank-robbing career at the San Miguel National Bank in Telluride in 1889. By 1900, however, mining profits had diminished and strikes had crippled the industry. By 1930, the Bank of Telluride had closed and the population had dwindled to 512. In 1953, Idarado Mining Company bought and consolidated all of the area mines, connecting them with a 350-mile network of tunnels. The Silverbelle brothel finally shut its doors in 1959. Millions of dollars in gold, silver, copper, lead and zinc continued to be mined in the Telluride area until these increasingly unprofitable operations ceased in 1978. Snow was once despised by the miners, but its abundance put Telluride back on the map. Beverly Hills entrepreneur Joe Zoline came to town in 1968 with plans for a “winter recreation area second to none.” At that time, Telluride was a dying community, virtually boarded up, its young people leaving for the cities. Zoline was welcomed by Telluride with open arms. The Scandinavian sport of skiing was introduced to Telluride by Swedes and Finns, partly for sheer joy, but some say more for the quick means it provided the eager miners hell-bent on being the first to visit their favorite bordello. It became more of a sport in the 1930’s, when the Ski-Hi Ski Club pulled members up a small run on an unsteady rope tow. 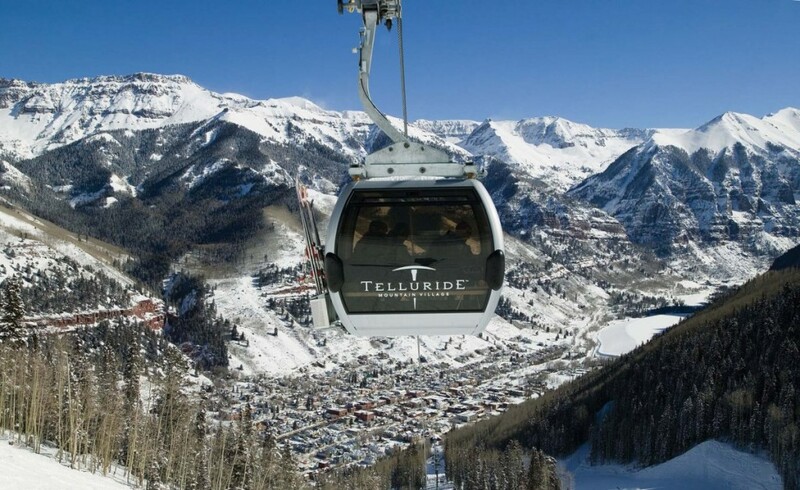 The Telluride Ski Area officially opened on December 22, 1972 with five lifts and a base facility. Telluride was a boom town again. The new enthusiasm generated by the ski area opening soon spilled over into the town’s glorious summer season. 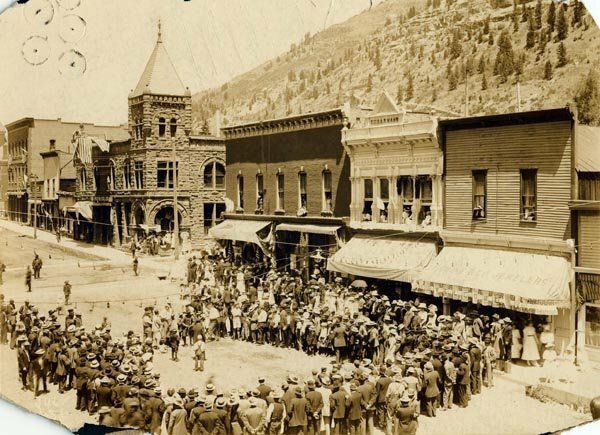 Telluride’s first festivals emerged the following summer, as the Bluegrass, Hang Gliding, Chamber Music and Film Festival all made their debuts. In 1975, the Coonskin Lift was constructed, creating access to the ski area directly from the Town of Telluride. In 1979, Ron Allred and the Benchmark Corporation of Avon, Colorado, purchased controlling interest in the ski area, and the mountain’s real growth began: the regional airport was completed in 1985; the Sunshine Express high-speed quad chairlift was constructed for the 1986-87 ski season; a luxurious hotel and spa, The Peaks Resort & Spa (formerly the Doral Hotel) was opened along with the Telluride golf course in the Mountain Village in 1992. These amenities began to attract a much more upscale clientele to Telluride. By the turn of the century, Telluride and Mountain Village had become two of the most desirable places to live in all of America. After mining’s boom and bust cycle and an “off season” that once seemed permanent, Telluride is thriving again. 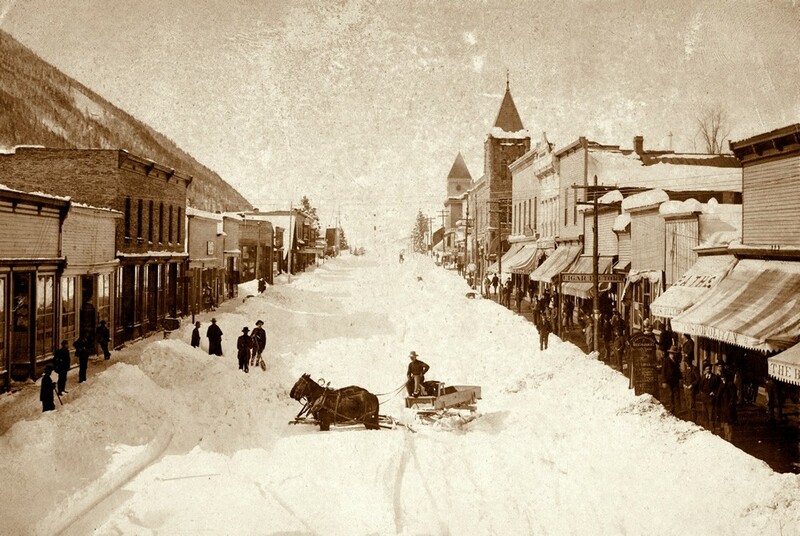 Today, as one of the premier summer and winter resorts in the country, Telluride has a proud heritage, a diverse population, and exceptional skiing terrain; and it has become known as a cultural mecca, the “Festival Capital of Colorado.” This Victorian-era community is one of only fifteen National Historic Landmark Districts in Colorado, the highest such designation awarded by the National Park Service. Everywhere in and on the mountains around town one can see and feel the rich history since great effort has been expended to preserve the architectural and cultural character of the area..